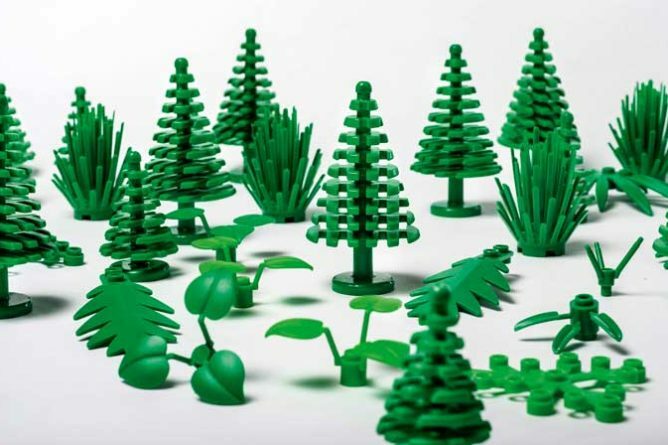 They said it couldn’t be done, even though Lego promised a few years ago to phase out acrylonitrile-butadiene-styrene (ABS, derived from petroleum) bricks by 2030. But yesterday, the Danish company announced a breakthrough, sharing that their botanical elements, such as leaves, bushes, and trees, will be made from plant-based plastic sourced from sugarcane and will be available later this year. The company joined a World Wildlife Fund (WWF) program to ensure that its sources are sustainable. Let’s hope that we’ll be seeing the company’s entire range of products turn green someday. Okay, so we might be a little obsessed with clothes made out of recycled materials. You can’t really blame us, though. It’s a brilliant idea, like the one athletic apparel company Rumi X has. Their activewear is made from recycled water bottles and upcycled coffee grounds. The materials are first gathered and then sent to recycling facilities, where the materials are then recycled, converted, and then transformed into yarn, which is then combined with their signature fabric. The result? Soft, stretchy, sweat-wicking clothes that look great. The coffee grounds even help with odor control, so that’s an added bonus, and the material made with the coffee grounds features what is called S. Café® technology, which increases the clothes’ moisture-wicking ability and also offers five times more UV protection than your usual workout wear. The World Economic Forum Facebook page shared this video of a water bottle that decomposes once you finish drinking from it. Made from algae jelly, the water bottle was invented by Ari Jonsson, a student from Iceland. The aesthetics have some room for improvement, but this is nevertheless a great idea. 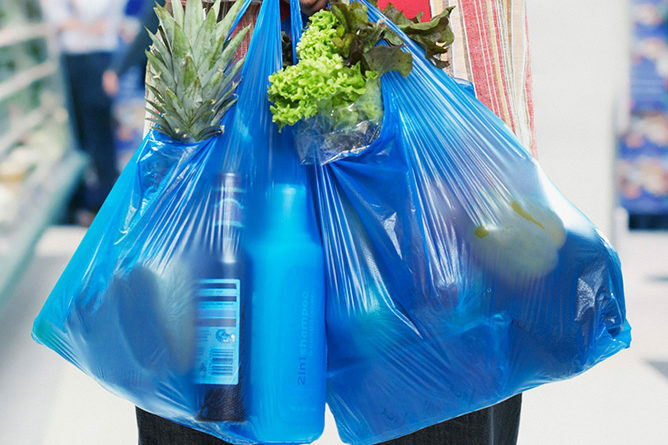 Large retailers in England, namely, Asda, Marks and Spencer’s, Sainsbury, Tesco, The Co-operative Group, Waitrose, and Morrisons, have been required by law to charge customers 5p for plastic bags, and now the outcome of that measure has finally been published. Overall, the seven retailers issued 83% fewer plastic bags in 2016 to 2017 than they did in 2014. Retailers have also shifted to using either paper bags or reusable bags. So where did the 5p per bag go? The retailers donated the money to various causes, such as charities, research, education, arts, and sports, among many others. A summary of the findings and the full dataset are available on www.data.gov.uk. Malaysian manufacturer Waste2Wear has come up with a way to make eco-friendly hijabs: by turning plastic bottles into fabric. The process involves cleaning each bottle, shredding them into flakes, washing them again until all that’s left is 100% RPET (recycled polyethylene terephthalate). Afterwards, the flakes are turned into pure recycled plastic pellets, which are then extruded into yarn. This yarn can be used on its own or blended with other yarns, too. The plastic bottles are used to create a chiffon-like material for the hijabs’ each hijab requires two plastic bottles to make. 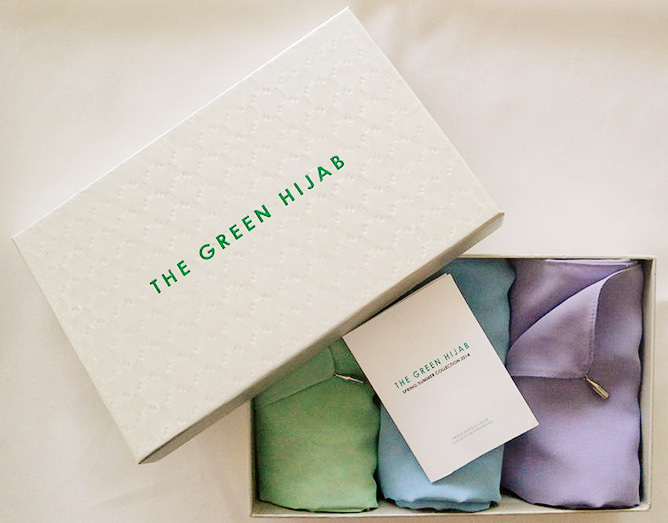 The hijabs come in three colors: Violet Tulip, Placid Blue, and Hemlock, and the set of three comes in a gift box made with 100% recycled and biodegradable materials, with the accompanying product story card made with 100% eco-friendly paper and printed using soy ink. The Green Hijab is available on Lazada Malaysia. It sounded like it was too good to be true: last year, leggings were being offered–for free–to Facebook users. Many were skeptical, but they also decided to take a chance and jumped on the offer–and they ended up falling in love with the leggings. Refinery29 even wrote about the leggings, and Who What Wear also chimed in with their own experience wearing the leggings. The consensus: the leggings were amazing, the offer was real, and the company behind the leggings is inspiring and driven by the desire to make eco-friendly clothing that fits women of all shapes and sizes well. The company is called Girlfriend Collective, and it’s based in Seattle, Washington. The company is working hard to make sure that every step of the process of creating their clothes does not harm the environment. They source their fabric from Taiwan, working with a factory that produces textiles through a process that involves turning recycled water bottles into a soft yarn, complete cutting out the need to use petroleum. They also use OEKO-certified safe dyes, and any water used to dye their fabric is wsent to our wastewater treatment plant literally 100 feet away from their machines. Their dye mud is sent to a pavement facility, which transforms the dye for use in paving stones. More details on their products and processes are available on their website. They get really detailed about their operations and the labor involved in creating their clothes, so any questions you might have about their products will not doubt be answered! You can also read more about them in their interview with Nylon. Girlfriend Collective’s free leggings promotion ended in February, and since then, they’ve been hard at work developing more products and preparing for a wider release. They’ll start accepting online orders at the end of July, and their collection, which features sports bras and leggings, will be available in August. Now here’s an interesting collaboration. 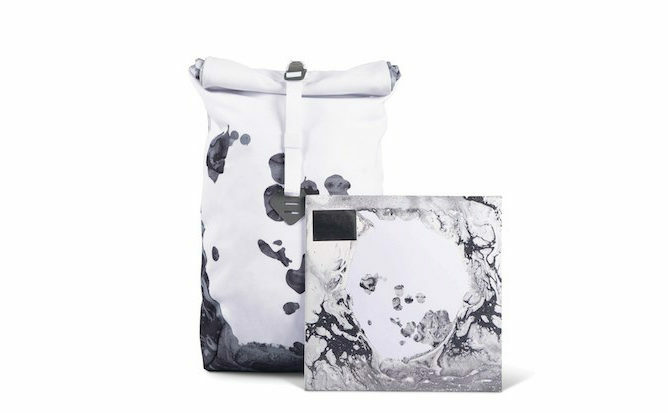 Rock band Radiohead is working with Millican, a company that makes bags out of sustainable materials and promotes conscious traveling, to create a bag that features artwork from their latest album, A Moon Shaped Pool. Artist Stanley Donwood, the band’s designer, in particular worked with Millican to recreate the album cover on the 18 L roll pack. Millican describes the collaboration as an unexpected opportunity that they just had to explore, and it’s also notable that Thom Yorke is an environmental activist. The bag is being sold for $110 on Millican’s website and on Radiohead’s online store. 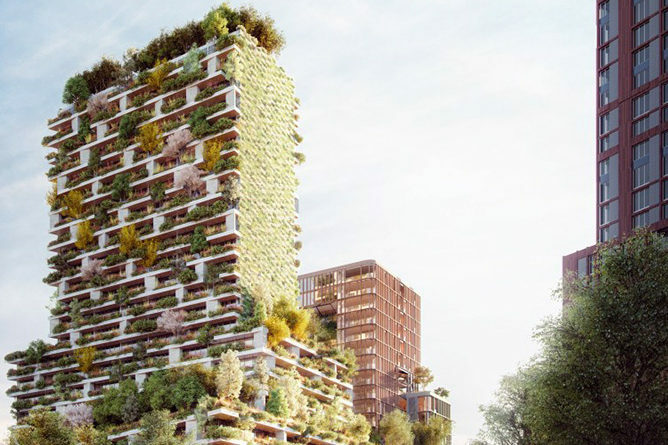 Stefano Boeri Architetti is at it again with its vertical forest towers. One of its latest such project is Nanjing Towers in China, but an even newer one is being planned in the city of Utrecht in the Netherlands. Called the Hawthorn Tower, the building is to be a part of the Wonderwoods development and is planned to be a 90 m tall structure that houses 200 apartments, with a façade that features 10,000 plants of different species (360 trees, 9,640 shrubs and flowers), which is equal to 1 ha of woods. The ground floor will be home to the Vertical Forest Hub, a research center on urban forestation worldwide. Once the structure is complete, Hawthorn Tower is expected to absorb approximately 5,400 kg of CO2 and fine particles, and producing approximately 41,400 tons of oxygen a year.